Gosainkunda Janai Festival Trek is unique and one of the best pilgrimage trail in Langtang Himalayan ranges. 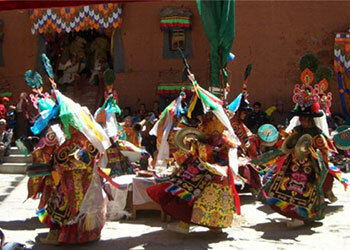 The festival is celebrated on the full moon day in August in the lake. The Gosainkunda Janai Festival trek climbs more steeply through farmland and above the tree line up an alpine ridge that offers a vast Himalayan panorama, to reach a rocky bowl studded with scared high altitudes lakes. Gosainkunda Janai Festival Trek gives you the opportunity to get right in among the Himalayan peaks and to get off-the-beaten-track, walking through some fascinatingly remote and relatively unpopulated areas. Gosainkunda Janai Festival Trek provides you an opportunity to view the sacred lakes of Gosainkunda situated here a much-revered Hindu pilgrimage site. Gosainkunda Lake is believed to have been created by Lord Shiva when he thrust his Trishul (trident) into a mountain to extract water so that he could cool his burning throat after swallowing poison which threatened to destroy the world. There are 108 Kundas in this area and mainly visible from the routes are Saraswati Kunda, Bhairab Kunda, Surya Kunda and Gosainkunda is the famous and most important one. According to religious belief, there is a channel from the lake which carries water directly from the lake to the Kumbheshwar Temple at Patan in Kathmandu Valley ( 60 km south west). Hindu people chant Gayatri Mantra and change their Sacred thread (Janai) for the protection and Rakshya Bandhan-a sacred red-yellow thread tie around the wrist by the priest. We can see an image of Shiva at its center is filled with water in this lake. Every year, these sacred places are visited by thousands of Hindu Pilgrims during August. 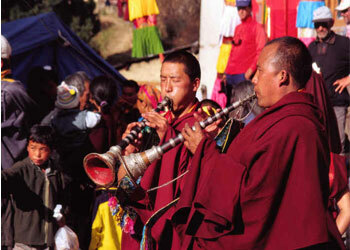 The principal inhabitants of Gosaikunda region are Tamang and Sherpa, an origin of Tibetan, whose religion, culture, languages, and dress are similar to the Tibetan people. Gosainkunda Janai Festival trek offers an ideal trek for those without much time but wishes to experience Nepal’s unique combination of cultures, landscapes, stunning mountain and diverse wildlife and vegetation. It will take some 7 hrs by bus or by private car. The administrative headquarters of the region, Dhunche is fairly pleasnt place. This is the main entrance point to the Langtang national park. Overnight stay at the Hotel in Dhunche. You will climb all the way in the jungle. 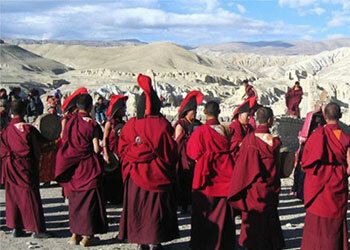 Chandanbari is small town with few lodges and Monastery. The Cheese factory here is the oldest in Nepal. The trail today takes two parts. Initially the trail climbs steeply up a ridge that marks a transition zone between rich, moist mountain forests and dry scrub vegetation on the slopes. The trail to LauriBinayak (3920m) is steep & continues for three hours. We follow a rugged trail with dramatic views to the west; Manaslu range, Ganesh Himal range, Tibetan peaks and to the north also across the valley is Langtang Lirung. From LauriBinayak, the trail ascends now in alpine country above the tree line. Cross a small ridge to see first view of the holy lake of Gosaikunda. There are about a dozen lakes around Gosaikunda Basin, the main three being Saraswatikunda, Bhairabkunda and Gosaikunda. Hundreds of pilgrims come here to worship and bathe during the full-moon festival every August. Drive back to Kathmandu by bus which is about 7-8 hours journey. It is a pleasant drive back to Kathmandu enjoying the natural varieties of Nepal. You will have lunch on the way bus stop stations. TIMS (Trekking Information Management System) Card for the Langtang Trekking.